← BC ready to experiment with pot reform; So how about raw milk? In addition, usually I like my milk cold. But cold milk can be hard on digestion. So if I was going to start a milk fast, I knew that I had to get used to the idea of drinking lukewarm milk. I had nothing to lose (other then some excess weight). 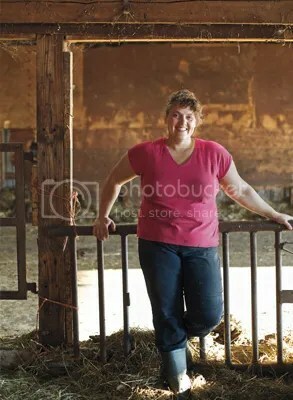 I own a pastured jersey cow that provides me with the most amazing fresh milk daily! And raw milk being a complete functional food, I saw the opportunity to cleanse and balance my body. …..That was Monday. Today I am completing Day 5 of my very first raw milk fast, and last night at our Fresh Milk Food Freedom presentation at Banyen Books, I was encouraged to blog about it. Not much of a blogger, but here goes. Day 1. I planned to drink 1/2 gallon (2 quarts) of full fat warm fresh milk, and as much water today as I wanted, however I wasn’t sure that 2 quarts would get me too far in the day, so I decided I would allow myself to consume up to 1 gallon. I started my day off with a full glass of warm milk. I left the rest on the counter for the day so it would be warm when I wanted it. I had another mid morning, lunch time, mid afternoon, and late afternoon. By that time I was quite surprised to still feel very full and content, with a few more cups in the jar. I had one more glass in the evening, completing my first full day. Day 2. I awoke with a headache. I kind of expected this, because of detox. I took the milk I left on the counter overnight, and continued to drink as much milk and water as I desired throughout the day. By days end I consumed the same amount as day 1. I was surprised that I wasn’t having any cravings. Day 3. Still had a headache, and my muscles were complaining at me. I continued the same pattern as day 1 and 2, and by noon I was feeling much better. I continued my regular daily busy schedule. By day’s end I had enjoyed almost 2 full quarts of milk and a small amount of raw yogurt, and water. Nothing else. Day 4. Woke up feeling refreshed and ready to go. Good thing, I had a big day planned, including a Raw Milk Presentation in the evening. By now I was thinking about how easy this has been. No cravings, always feeling satisfied, and now feeling quite energized. I also have been enjoying the warm sweet milk. I didn’t realize how sweet it was. Today I reveled with each glass at how amazingly delicious this food is. I envision myself enjoying this fast for some time. Day 5. Woke refreshed and ready to get on with my day. Still feeling energized, and not experiencing the afternoon lag! Not sure exactly how much milk I had today, but not more than 2 quarts. I am thinking tonight I might have some more raw yogurt. It rich and tangy, and a mouthful of flavour. I will probably have about 1/2 cup. Other than yogurt, I am not thinking about other foods yet. Day 6. Today was a long day. I was at the Vancouver Farmer’s Market, sharing the secret, at a Raw Milk Presentation with Slow Food. I felt great until about 3, and the lack of sleep the night before hit. So I had 1 cup of raw yogurt which I didn’t end up having the night before, and a bite of cheese, and was amazed how quickly it picked me up. Enough to drive home awake, and clean house when I got back. Sunday, Day 7. I awoke feeling great once again. I figured today would be a tough day, as I had a social dinner engagement tonight. Funny enough, it wasn’t difficult at all. Before I went I enjoyed some camembert and a glass of milk, so I was content on arrival, and enjoyed some water and a bit of milk while there. I am still amazed how sweet and enjoyable warm milk is. No wonder my youngest was always asking for warm milk. We used to call her our Milkoholic, as for about 2 years, it was pretty much all she had. Since it has been one week since I started, it was time for me to weigh in. How exciting to see that I lost 9 lbs. That’s encouragement for another week! Not only have I felt great, I lost weight too. I also noticed that my tooth no longer has been bugging me. Since I had a filling about 8 months ago, it has always been very sensitive when I brush my teeth, and hot and cold sensitive, but the last couple of days, it hasn’t bugged me at all. I will be paying attention to this change. I am still undecided how long I will continue this, but 30 days seems to stick in my head. That would bring us to the day before election time here in BC. I will keep you posted as I continue my raw milk journey. Elizabeth Walling did an extended raw milk fast a few years ago, and wrote about the experience. It will be interesting to follow Alice’s journey, as she gets deeper into her own raw milk fast. Stay tuned to the Bovine for more updates! Good for you, Alice, and thanks so much for the daily renditions . . . reminded me of the adage, scientifically proven, that milk is a truly whole food in terms of its nutritional content. Ancients in India and Tibet have been known to live on nothing else . . . Of course, we are talking about milk-milk here, straight from a grazing cow, not what’s now being passed off as milk in the interests of profit. All the best! Great job Alice. I loved reading about your experience. Looking forward to hear the rest, and best of luck to you and hope fully you remain healthy throughout the fast. But I know milk is a truly wholesome food and you should be good! We need to show this government! Nice to read this adventure that you are on. I’ve been considering doing this myself later in the spring when the cows are back out on pasture. Hoping it works out that I can. Awesome! Love to hear this type of thing! Can you give me a link to read your blog posts? Really have to do this! I don’t have the series links on 2013 yet. Hopefully will be doing that this week (I only finished the cure last Thursday). This is where I am blogging, but I seem to only get there every other day. 🙂 Still going well. Day 9. And I am still just as busy as ever. Thanks Sandra and Alice. I’ll keep reading your journeys and loving every minute of it! I LOVE this idea–but we are unable to aquire raw milk anywhere within a few hours of our home. I guess there is that one dairy farmer, but they aren’t pasture cows, and he uses added hormones. Sigh. I should say that any time I have tried any kind of fasting, at first I have the detox feelings, but I get the energy kick, too. I really believe that although putting good foods in you is by far the best choice, I think my boost of energy is really just eliminating additives such as sugar, caffeine, etc. I eat and feed my family in a healthy manner, but sweeteners (even natural sweeteners) and grains (even freshly ground grains) really drag me down after awhile. If I eliminate both of those, my energy soars. I think you need to listen to your body, and find the fast that works to detoxify you, and just do it. Again, if ONLY I could find a source of fresh, raw, non-adulterated dairy, I would try this fast!! Thanks for the great post! I have been drinking raw milk ,butter and cheese for over 50 years. I am 88 and take no medications. My dog pulled me down and I broke hip and wrist. Was hospitalized for 5 weeks and all tests proved did not need any medications. They gave me a heart scan and my heart tested perfect and like a much younger person.. The great Doctor Bieler M.D. started me on healthy foods. Dr. Bieler cured my sister of Ovarian cancer in 4th stage. She had been given 6 months to live at a large Los Angeles hospital. She rerfused hospital treatment and went to see Drf. Bieler. He cured her of cancer by diet alone. she was 49 at time of diagnose of cancer and passed away at age86 and not from cancer. I do not eat anything with preservitives in it. Eat very little salt. Eat my meat rare. Sounds like a lovely idea. Just not finding enough time to keep the details 🙂 I’ll be sure to check out your book though. Thanks for the tip. 1,124 views on this story so far. Way to go Alice. Lose. We Lose weight. 😉 Fat fasting causes muscle loss, not fat loss. This is not a sustainable plan and should be avoided. This is the most useful link for following up on Elizabeth Wallings 23 day raw milk fast . It consists of 14 different posts about it. The other links in the above Bovine article have expired as of April 2013 . And how do you overcome food fatigue? Gonzales: Good question. I would try to answer your question partly by modifying it to should one be drinking ANY kind of cold liquids ? Ayurveda frowns on drinking cold liquids of ANY kind. It slows down the digestion . More energy is required from the body to effect overall digestion . But in North America it has become almost a cultural norm. Here is a specific scientific answer why not : The digestive enzymes in human works best at the optimum temperature of between 37°C and 42°C. This is the temperature range where the rate of food digestion is the maximum. When you eat food it enters the stomach at a temperature of between 37°C and 42°C, and if not, it’s regulated by the body to that temperature range. For example: The enzyme pepsin in the stomach degrades food proteins into peptides at the optimum temperature of between 37°C and 42°C and optimum acidic environments of pH of 1.5 to 2. The body has sensors with memory, or it’s linked to the brain, and immediately it sense the food in the stomach has temperatures and pH outside the optimum range, it uses the energy and acids stored in the body to regulate the right conditions for the optimum digestion. Food and drink that is really cold is hard to digest. The cold tends to slow down the release of enzymes that aid digestion. Some people actually have quite severe digestive problems when foods are too cold. Western medicine isn’t too concerned about this but Chinese medicine and Ayurveda both prefer that foods and drinks be at room temperature especially in someone looking to build health. Someone quite healthy probably doesn’t have to worry about this as much but doing something like the milk cleanse is a way to detox the body and build health so it just makes sense to have the milk at room temperature to cover all bases. Just happen to see this since I was just starting a raw milk diet. I wanted to clarify that it’s not Western medicine that ignores hot and cold common sense but rather Corporate medicine that does. My mother grew up in Europe and until it became more Americanized much later, you could not find any ice anywhere. It was common knowledge that icy cold and very hot food and liquids were bad for the gums and teeth as well as your digestion. In fact the first time I went to Europe in the early 70’s all of the drinks everywhere were lukewarm, there was no ice to be found. We need to distinguish between what post-war America has been teaching as “medicine” and what early America and Europe understood as health care which is quite different. Also keep in mind some of the greatest health pioneers were European and American. Their immense knowledge and contributions should not be clumped in with the corporate mess that constitutes modern medicine. I’m at least a “believer” in the milk fast. I know a self-proclaimed “raw milk fanatic” here in California who went the great distance of starting a CSA dairy farm and essentially devoting his life to assuring having the finest grass-fed milk possible, Maybe some day he can publish his account on how long he has gone just on a diet of milk. I have been culturing virtually all my dairy products and now enjoy about six to seven cups of kefir every day. Some times I have a cup or so of raw, grass-fed creme fraiche. I stir with about three cups of my home made kombucha and about four cups of whey plus a couple tablespoons of minerals. About every other day I add two tablespoons of spirilina to the mix that totals one full gallon. That is about 80 to 85% of my diet. I have never felt better in about fifty years of my adult life! Culturing adds great variety and greater digest-ability. Maybe some day i will start my own dairy! I have a question about “raw milk yogurt”. I have Guernsey cows and enjoy raw milk and the associated products everyday. When I make yogurt I always heat it to185 deg. before cooling and culturing it. I’ve read that you have to heat the milk to change the proteins so that thick yogurt is produced. Is it still called raw after heating it? Are there other ways to successfully make yogurt without the initial heat treatment? I’ve been curious about this even before reading this article. HI Sue. I make mine starting from cold milk since I pick it up that way. I then warm it to 110 degrees very slowly and with low heat. I ad a culture called ABY2C that I get from Glengarry Cheese in Ontario. This culture makes the nicest thickest raw milk yogurt. I then culture it for 24 hours. After a week or so some of the whey will separate but that is okay with me because I use it to start my fermented vegetables or add to sourdough starter. Sometimes I use that whey on my house plants watered down well with pure water. Heating milk to 185 degrees is called PASTEURIZING!!! It’s no longer raw. Please let us know how much you lost. I thought milk was responsable for breast cancer, at least one factor among others. It is so full of hormones, a calf and a baby needs them for a while, after that, what other animal drinks milk, that is my question….. But that is interesting to read Your experience, I might add 🙂 looking weight is easy, keeping it of is another story, don’t you think ?